When the temperature drops, nothing hits the spot like Chicken Noodle Soup. But what if you could get that same, home-cooked-from-Mom kind of meal using chickpeas instead? 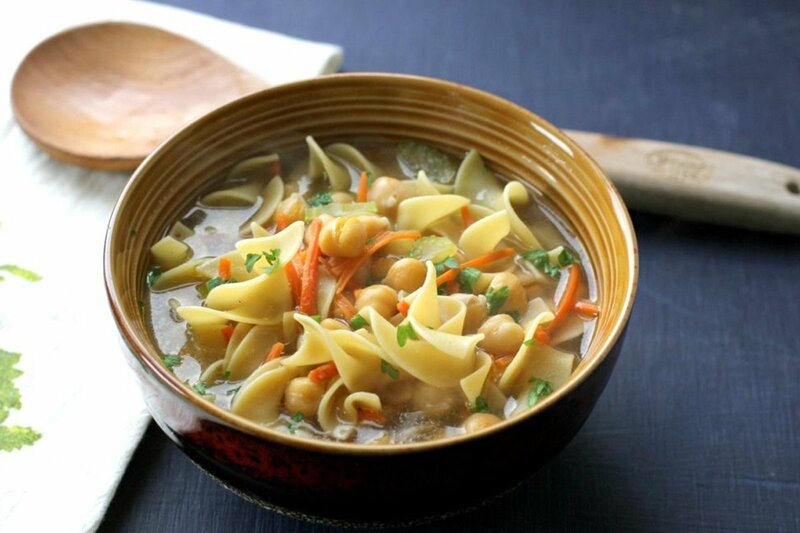 That’s right – we’re gonna blow your mind with our Chickpea Noodle Soup. It’s your classic chicken noodle soup but with chickpeas instead of chicken for a similar protein boost. In a large pot, heat olive oil over medium heat. Add onion, garlic, carrots, and celery. Cook until soft, about 5 minutes. Add broth and Italian seasoning and bring to a boil. Add the noodles and simmer until tender, about 10 minutes. Add chickpeas and cook for 2 minutes. Serve.